This article is about a type of political territory. For other uses, see Colony (disambiguation). Chart of non-self-governing territories (as of June 2012[update]). The metropolitan state is the state that rules the colony. In Ancient Greece, the city that founded a colony was known as the metropolis. "Mother country" is a reference to the metropolitan state from the point of view of citizens who live in its colony. There is a United Nations list of Non-Self-Governing Territories. Unlike a puppet state or satellite state, a colony has no independent international representation, and its top-level administration is under direct control of the metropolitan state. The term informal colony is used by some historians to refer to a country under the de facto control of another state, although this term is often contentious. The word "colony" comes from the Latin word colōnia. This in turn derives from the word colōnus, which means colonist but also implies a farmer. Cologne is an example of a settlement preserving this etymology. Other, less obvious settlements that began as Roman colonia include cities from Belgrade to York. A tell-tale sign of a settlement once being a Roman colony is a city centre with a grid pattern. The terminology is taken from architectural analogy, where a column pillar is beneath the (often stylized) head capital, which is also a biological analog of the body as subservient beneath the controlling head (with 'capital' coming from the Latin word caput, meaning 'head'). So colonies are not independently self-controlled, but rather are controlled from a separate entity that serves the capital function. Roman colonies first appeared when the Romans conquered neighbouring Italic peoples. These were small farming settlements that appeared when the Romans had subdued an enemy in war. A colony could take many forms, as a trade outpost or a military base in enemy territory. Its original definition as a settlement created by people migrating from a central region to an outlying one became the modern definition. Cologne formed as a Roman colony, and its modern name refers to the Latin term "Colonia". Kandahar formed as a Greek colony during the Hellenistic era by Alexander the Great in 330 BC. Alaska: a colony of Russia from the middle 18th century until sold to the United States in 1867. It became the 49th American state in 1959. Angola: a colony of Portugal since the 16th century. Independent since 1975. Argentina gained its independence from Spain in 1810. Australia was formed as an independent country in 1901 from a federation of six distinct British colonies which were founded between 1788 and 1829. Barbados: was a colony of Great Britain important in the Atlantic slave trade. It gained its independence in 1966. Brazil: a colony of Portugal since the 16th century. Independent since 1822. Canada: was colonized first by France as New France (1534-1763) and England (in Newfoundland, 1582) then under British rule (1763–1867), before achieving Dominion status and losing "colony" designation. Democratic Republic of the Congo: a colony of Belgium from 1908 to 1960; previously under private ownership of King Leopold. French Indochina was formed in October 1887 from Annam, Tonkin, Cochinchina (which together form modern Vietnam) and the Kingdom of Cambodia; Laos was added after the Franco-Siamese War in 1893. The federation lasted until 1954. In the four protectorates, the French formally left the local rulers in power, who were the Emperors of Vietnam, Kings of Cambodia, and Kings of Luang Prabang, but in fact gathered all powers in their hands, the local rulers acting only as figureheads. Ghana: Contact between Europe and Ghana (known as The Gold Coast) began in the 15th century with the arrival of the Portuguese. This soon led to the establishment of several colonies by European powers: Portuguese Gold Coast (1482–1642), Dutch Gold Coast (1598-1872), Swedish Gold Coast (1650-1663), Danish Gold Coast (1658-1850), Brandenburger and Prussian Gold Coast (1685-1721) and British Gold Coast (1821-1957). In 1957, Ghana was the first African colony south of the Sahara to become independent. Greenland was a colony of Denmark-Norway from 1721 and was a colony of Denmark from 1814 to 1953. In 1953 Greenland was made an equal part of the Danish Kingdom. Home rule was granted in 1979 and extended to self-rule in 2009. See also Danish colonization of the Americas. Guinea-Bissau: a colony of Portugal since the 15th century. Independent since 1974. Hong Kong was a British colony from 1841 to 1997. Is now a Special Administrative Region of China. India was an imperial political entity comprising present-day India, Pakistan, Bangladesh, Myanmar and the United Arab Emirates with regions under the direct control of the Government of the United Kingdom from 1858 to 1947. From the 15th century until 1961, Portuguese India (Goa) was a colony of Portugal. Pondicherry and Chandernagore were part of French India from 1759 to 1954. Small Danish colonies of Tharangambadi, Serampore and the Nicobar Islands) from 1620 to 1869 were known as Danish India. Indonesia was a Dutch colony for 350 years, from 1602 to full independence in 1949. Jamaica was part of the Spanish West Indies in the sixteenth and seventeenth centuries. It became an English colony in 1655; independence in 1962. Liberia a colony set up in 1821 by American private citizens for the migration of African American freedmen. Liberian Declaration of Independence from the American Colonization Society on July 26, 1847. It is the second oldest black republic in the world after Haiti. Macau was a Portuguese colony from 1557 to 1999. In 1999, two years after Hong Kong, it became a Special Administrative Region of China. Malta was a British protectorate and later a colony from the French Revolutionary Wars in 1800 to independence in 1964. Mozambique: a colony of Portugal since the 15th century. Independent since 1975. Philippines, previously a colony of Spain from c. 1565 to 1898 as part of the Spanish East Indies, was a colony of the United States from 1898 to 1946. Achieved self-governing Commonwealth status in 1935; independent in 1946. 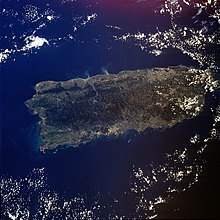 Puerto Rico has been a colony of Spain from 1493 to 1898 and of the United States from 1898 to the present. It is sometimes called the world's oldest colony. Somalia was a colony of Italy and Britain from the late 1800s to 1960. On July 6, 1960, the Trust Territory of Somaliland (former Italian Somaliland) united as planned with the former British Somaliland to form the Somali Republic (Somalia). South Africa consisted of territories and colonies by various different African and European powers, including the Dutch, the British, and the Nguni. The territory consisting the modern nation was ruled directly by the British from 1806-1910; became self-governing dominion of Union of South Africa in 1910. Sri Lanka: a British colony from 1815 to 1948. Known as Ceylon. Was a British Dominion until 1972. Also a Portuguese colony in the 16th-17th centuries, and a Dutch colony in the 17th-18th centuries. Taiwan had a Dutch colony (1624–1662) centered on present-day Tainan; shortly afterwards, a Spanish colony (1626–1642) was established concurrently in northern Taiwan, not far from present-day Taipei. Chinese colonial rule was established when Han Chinese forces loyal to the Ming Dynasty defeated the Dutch in 1662. The Ming loyalists later surrendered Taiwan to the Qing Dynasty, which annexed Taiwan into Chinese territory, making it part of Fujian province, and later making it a province in its own right. Qing dynasty rule ended after the First Sino-Japanese War when the Qing ceded Taiwan to Japan, placing Taiwan under Japanese control (1895-1945). After the defeat of Japan in World War II, Taiwan was given to the Republic of China, becoming its base after its defeat in the Chinese civil war. United States was formed from a union of thirteen distinct British colonies. The Colony of Virginia was the first of the thirteen colonies. All thirteen declared independence in July 1776 and expelled the British governors. The Special Committee on Decolonization maintains the United Nations list of Non-Self-Governing Territories, which identifies areas the United Nations (though not without controversy) believes are colonies. Given that dependent territories have varying degrees of autonomy and political power in the affairs of the controlling state, there is disagreement over the classification of "colony". ^ Puerto Rico:The Trials of the Oldest Colony in the World. By Jose Trias Monge. Yale University Press. 1997. ^ James S. Jeffers (1999). The Greco-Roman world of the New Testament era: exploring the background of early Christianity. InterVarsity Press. pp. 52–53. ISBN 978-0-8308-1589-0. ^ De Lario, Damaso; de Lario Ramírez, Dámaso (2008). "Philip II and the "Philippine Referendum" of 1599". Re-shaping the world: Philip II of Spain and his time. Ateneo de Manila University Press. ISBN 978-971-550-556-7. ^ In 1521, an expedition led by Ferdinand Magellan landed in the islands, and Ruy López de Villalobos named the islands Las Islas Filipinas in honor of Spain's Prince Philip (later to become Philip I of Castile). During a later expedition in 1564, Miguel López de Legazpi conquered the Philippines for Spain. However, it can be argued that Spain's legitimate sovereignty over the islands commenced following a popular referendum in 1599. ^ a b Tonio Andrade, How Taiwan Became Chinese: Dutch, Spanish, and Han Colonization in the Seventeenth Century, Columbia University Press. Benjamin, Thomas, ed. Encyclopedia of Western Colonialism Since 1450 (2006).